In the complaint, the whistle-blower alleged that Deloitte’s senior leadership was aware of the financial mismanagement and impropriety of the IL&FS group. “Deloitte has audited the group over a period of 10 years and has been an integral part of its unmitigated growth, benefitting in several ways in terms of being a preferred advisor as well as favouring Deloitte by awarding several advisory work on a single sourced basis with substantially high fees,” the whistle-blower said, and added that the person, a senior member of the client team, had no faith in the current leadership of the auditing firm and, hence, the letter had been sent to the regulators. 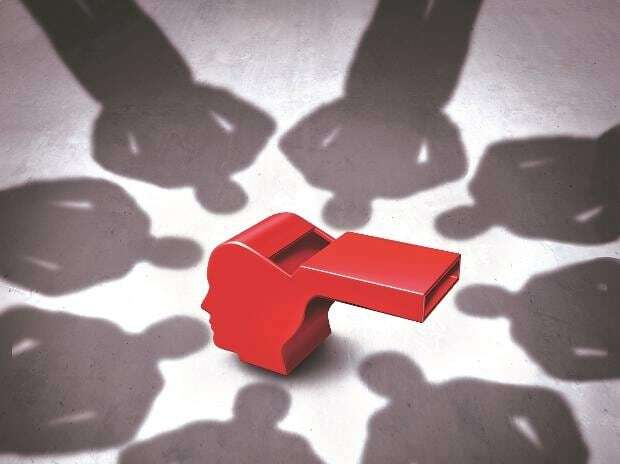 The whistle-blower said that in order to protect the auditor’s position, the modus operandi was whenever there were any dubious findings, Deloitte agreed to rely on the management’s explanations and comfort letters. “Internally several views in matters of audit opinion were watered down by Deloitte leadership in the first instance. Over years, this has led the entire audit susceptible to legacy positions and compounded the financial mis-reporting. In many cases, the language of the management response was agreed beforehand by Deloitte to close its internal reviews,” the communication said. Financially, the IL&FS group provided additional fees as consultancy services for mutual benefit, the letter added. The letter alleged that in Deloitte’s internal review meetings, observations and all adverse remarks would be taken behind closed doors by the audit partner Udayan Sen and discussed one on one with the top management and then “managed” by way of explanations and opinions. “Several times over the past three years, there had been enough facts discovered which would have qualified the report but these were deliberately overlooked,” the whistle-blower wrote, asking the regulators to make sure that Deloitte keeps records of all the internal emails and minutes of meetings. “Deloitte charged a very large sum of fees to recommend creating more complex financial services business and grow its already stressed book. This was under the guidance of Udayan Sen along with consulting partner Sanjoy Dutta,” the letter said. In fact, Dutta had been given the responsibility to manage the IL&FS account and earn Rs 20 crore as annual consulting fees,” the letter said, adding that the round-tripping of loans was evident in several cases but overlooked. As a favour to both parties, Deloitte appointed senior tax advisor to IL&FS, Dilip Lakhani at a very high salary for the services rendered to the IL&FS group and to ensure that he would earn revenue for Deloitte.